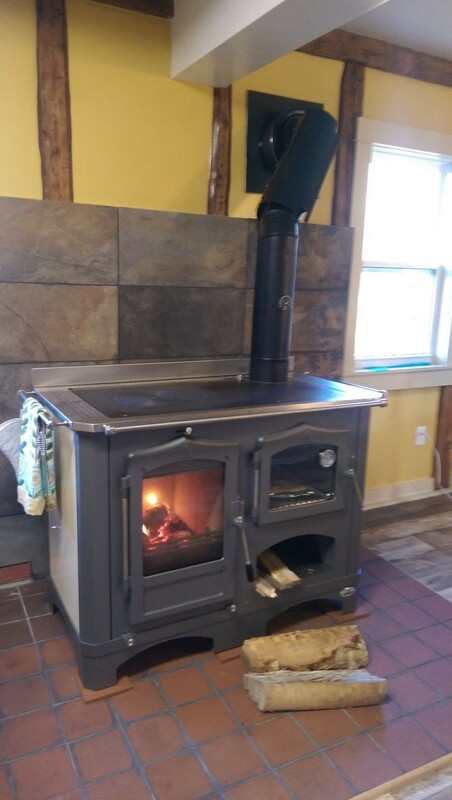 We have been waiting for this moment for a very long time: finally a beautiful Italian cook stove listed to UL / ULC standards for US & Canada! 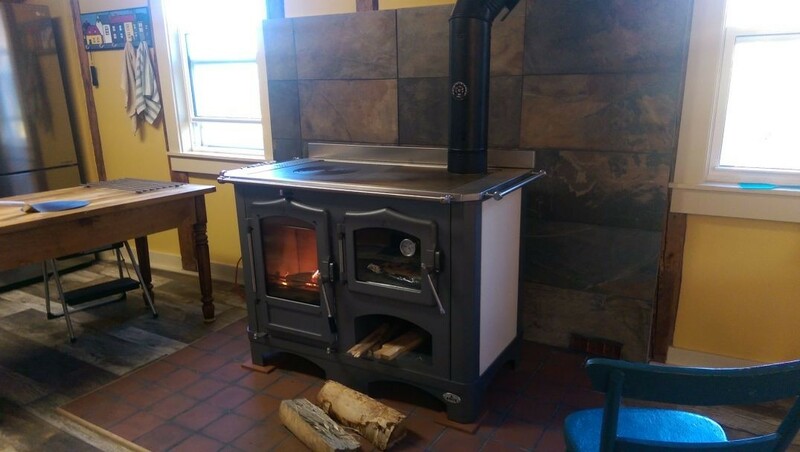 This means that this stove can be installed in all States and Provinces and with any insurance company! 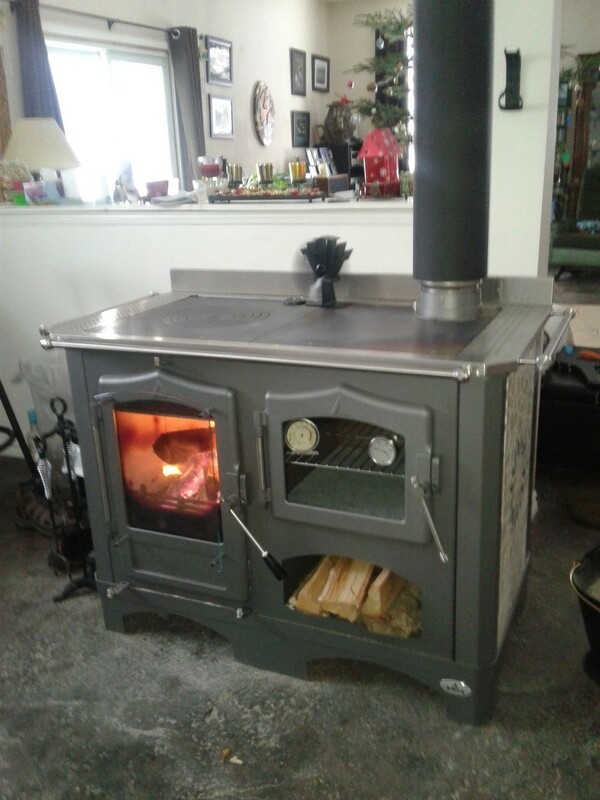 The stove was rigorously tested by OMNI-Labs in Oregon. The UL / ULC seal can be found both on the label and the manual, both can be downloaded from this page. The label provides all details on clearances. 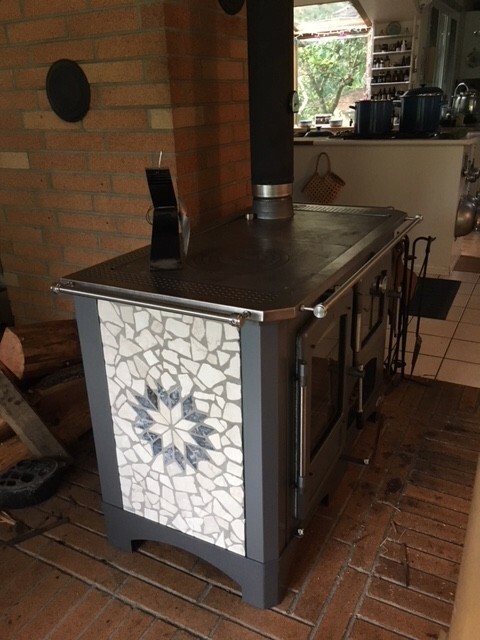 The stove is made by Lincar in Italy. Lincar is an Italian leader in the sector of wood & pellet stoves, it's a state of the art humongous metal working brand with decades of experience in the field of wood & pellet stoves. Regina has been manufactured for years but received the UL certification only recently. Regina is made primarily of steel with the cook top being cast iron. It's a very solid piece of equipment. 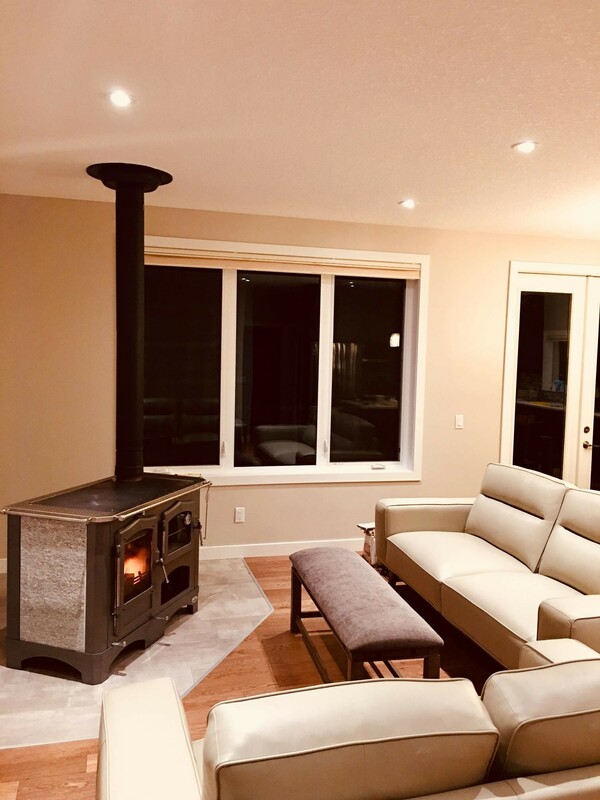 When we were looking for a stove to certify for the North American market we decided to look for simplicity, high heat output, and cooking space, and we found all of these in Regina. 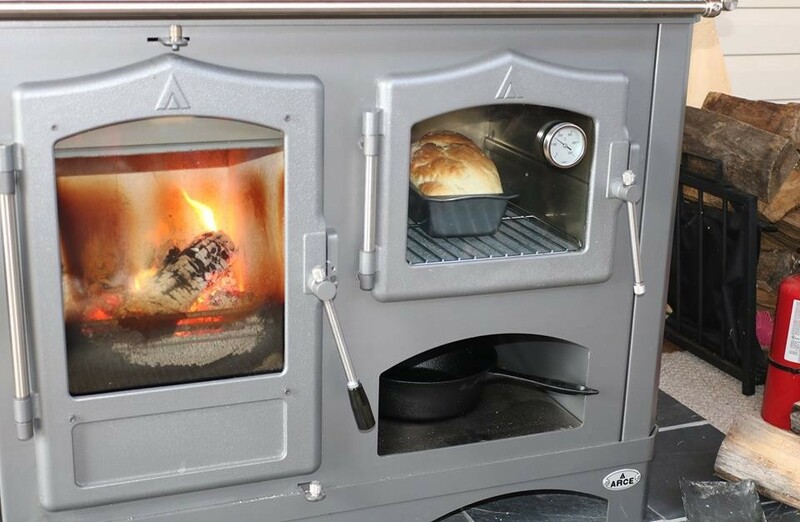 Both the firebox and the bake oven are large and both feature see-through glass doors: enjoy the views of the fire and of your food cooking. There is a storage area under the baking oven. The firebox is lined with firebricks. The baking oven has one rack. The cook top is cast iron and is large, unobstructed by a chimney in the middle, and contains one large ringed burner for cooking directly over fire. 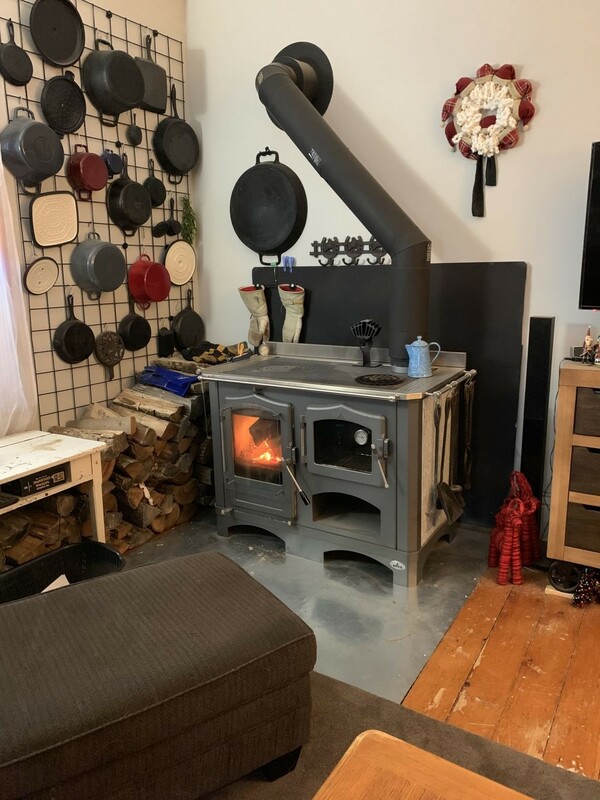 Each stove has 2 chimney connections: on top and on the back, choose whichever one suits your set up better. 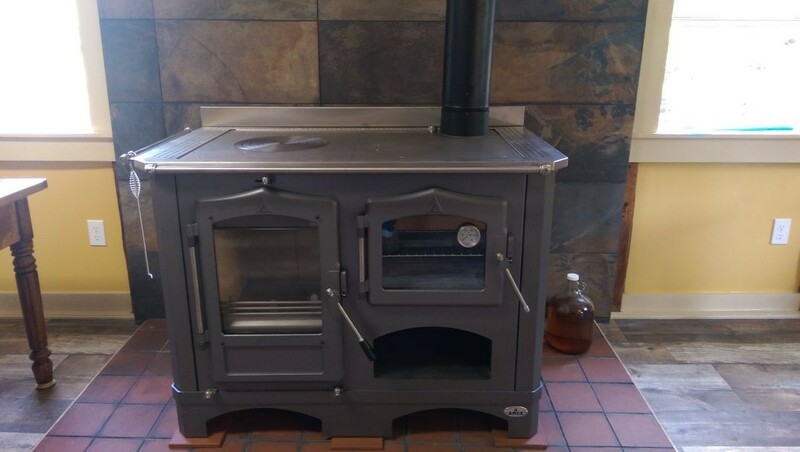 The stove comes with a steel plate to close the unused connection opening. 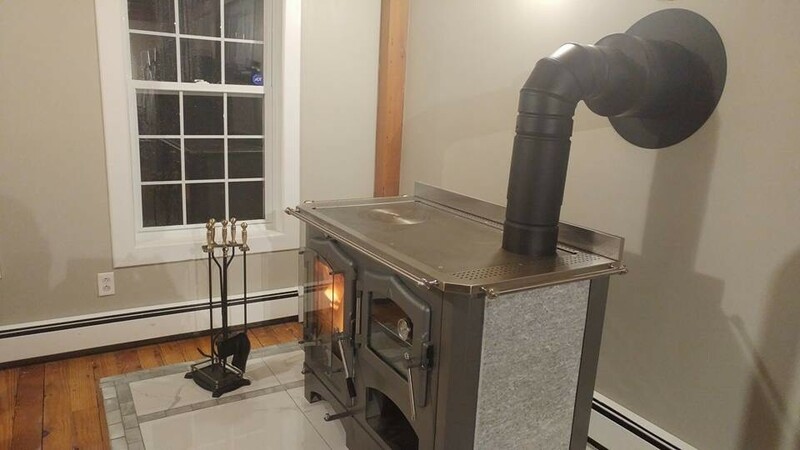 It connects to a standard 6" chimney. 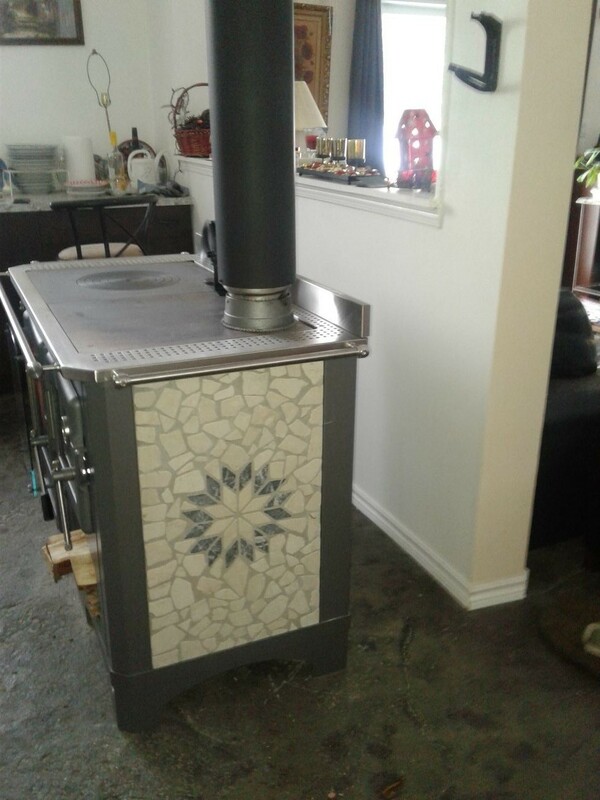 What sets this stove apart in terms of design are the side panels! You can choose painted stainless steel, marble, or soapstone. Our selection changes from time to time, please see the Color Selection drop down menu above. Please don't trust the exact color on the pictures: computer screens cannot be relied upon for this. 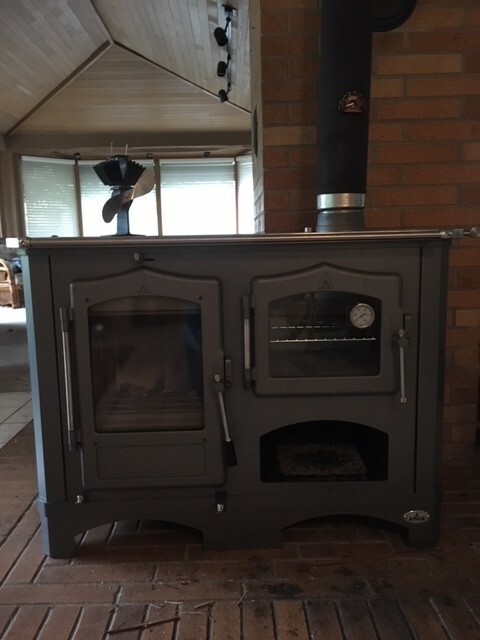 The stove has both primary and secondary air controls, both on the front of the firebox door. 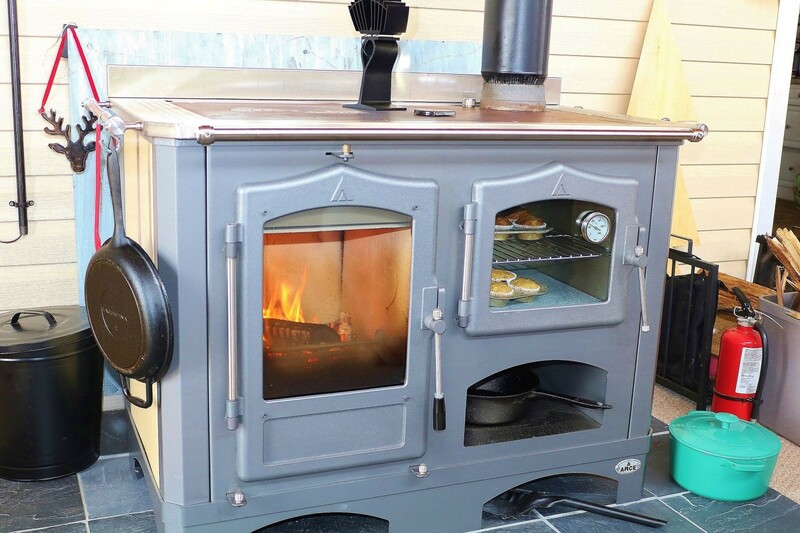 As with our other stoves Regina is both a cooker and a very powerful heater! You can count on it to heat up approx. 3000 sf of space, though this depends on the specs of the space (height, insulation etc). 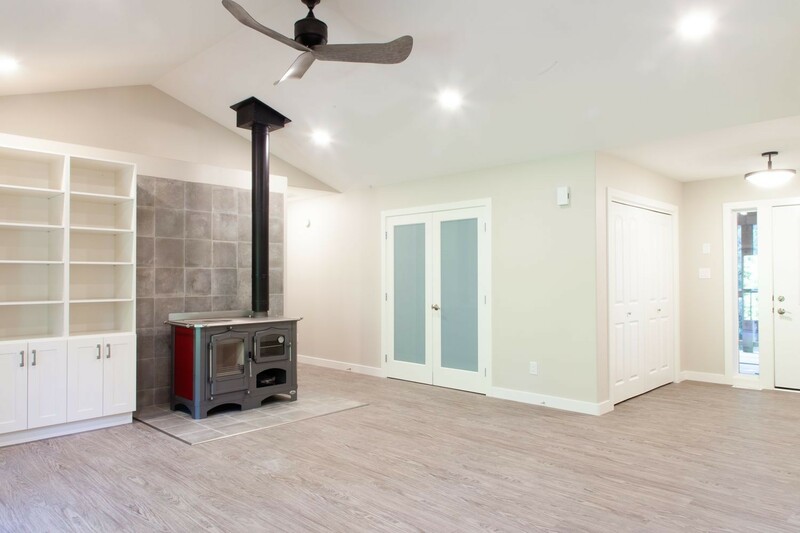 Our estimates are always on a VERY conservative side, in practice we have heard from customers that our stoves heat up much larger spaces. For all other dimensions please see Page 4 of the Manuals available on this page. 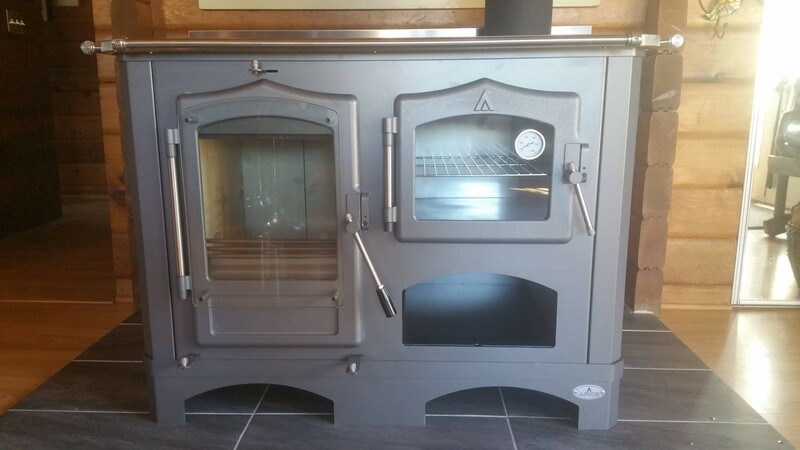 The firebox glass obviously gets very hot and hence we offer an optional glass protection kit which is basically an extra glass that you can attach to the front of the stove, please see Page 2 in the Manual. It's a very good idea if you have kids in the house. One of the biggest benefits of UL listing is lower clearances to combustibles! Please see Page 9 of the Manual for drawings and corresponding clearances. 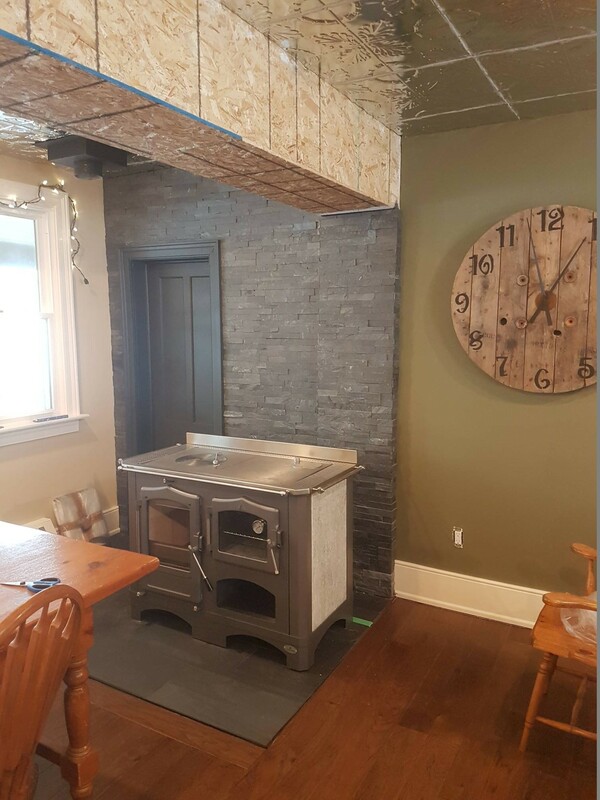 Basically the back of the stove has to be 14" away from combustibles and the sides 8"-11". You can reduce these clearances much further if you use heat shields to cover your walls, in most jurisdictions this reduces the clearances by two thirds: 66%!